…during which a team of Joint Commission expert surveyors evaluated the Portland Recovery Center for compliance with standards of care specific to the needs of individuals served and families, including infection prevention and control, leadership and medication management. 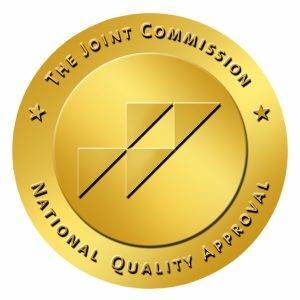 “In achieving Joint Commission accreditation, CODA, Inc., has demonstrated its commitment to the highest level of care for the people they serve,” says Mary Cesare-Murphy, Ph.D., executive director, Behavioral Health Care Accreditation, The Joint Commission. “Behavioral Health accreditation is a voluntary process and I commend CODA for successfully undertaking this challenge to elevate its standard of care and instill confidence in the community it serves.The Joint Commission’s behavioral health care standards address important functions relating to the care of individuals served and the management of behavioral health care organizations. The standards are developed in consultation with behavioral health care experts, providers, measurement experts, individuals served and their families.